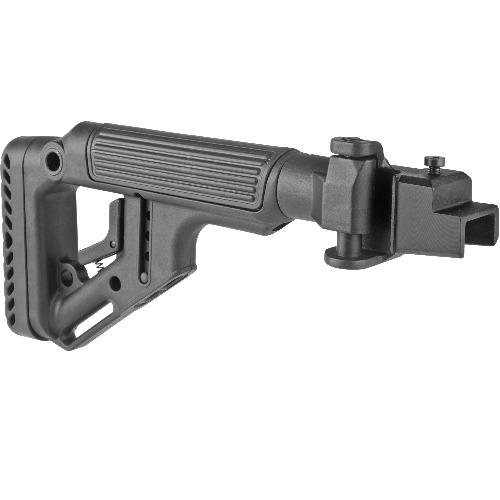 Tough folding stock for AK-47/74 rifles solve problems associated with the mounting of optics on these rifles. Solid steel adapter bolts to the rear trunnion for drop-in fit, or may be riveted or welded to receiver or trunnion for even greater strength. (Riveting or welding must be done by a competent gunsmith). AK-47 version is designed for stamped receivers.